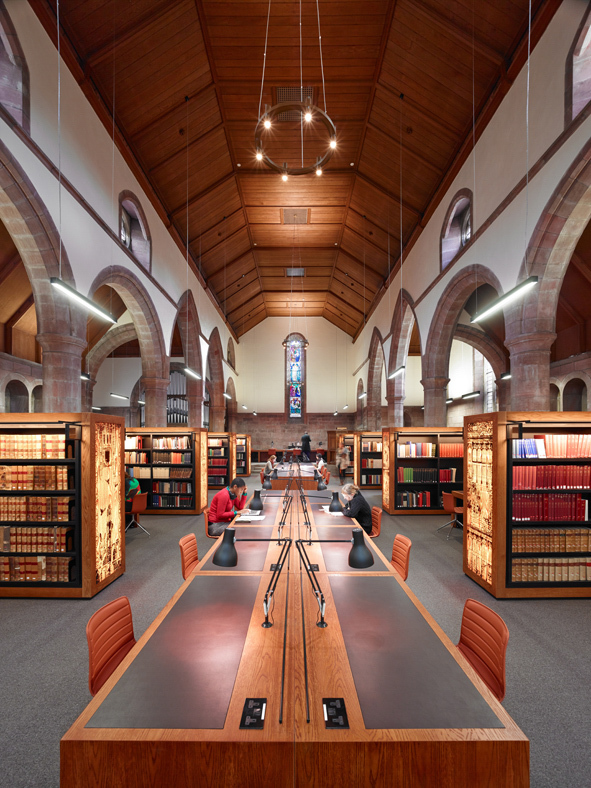 Martyr’s Kirk, on North Street, St Andrews, originally a 1928 church by Gillespie and Scott, was reimagined and converted into a state-of-the-art research library for St Andrews University by Page\Park Architects. We created a series of 8 patterned back-lit panels framed at the end of each bookcase lining the original church aisle. 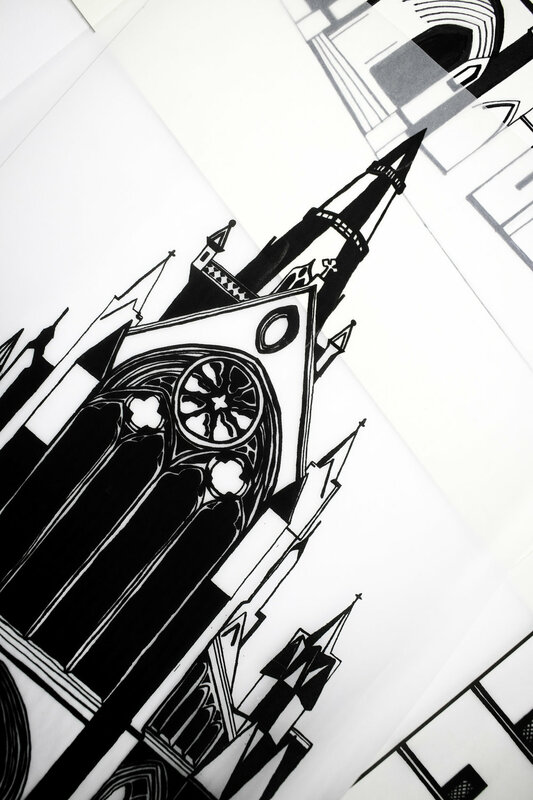 The hand drawn patterns were inspired by the University special collection and the town of St Andrews, manipulated into stained glass like patterns reminiscent of the church windows. We printed the designs onto vinyl and worked with a cabinet maker to create glass fronted bespoke light boxes to illuminate the designs.